Warm-ups by the Dozen utilizes proven techniques and creative exercises to prepare choirs effectively for rehearsals or performances. 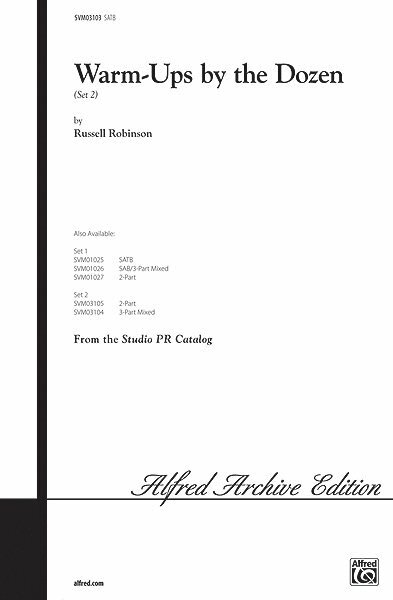 The set includes a dozen warm-ups designed and sequenced by noted choral educator Dr. Russell Robinson. This guide should be a part of the daily repertoire for every choir.